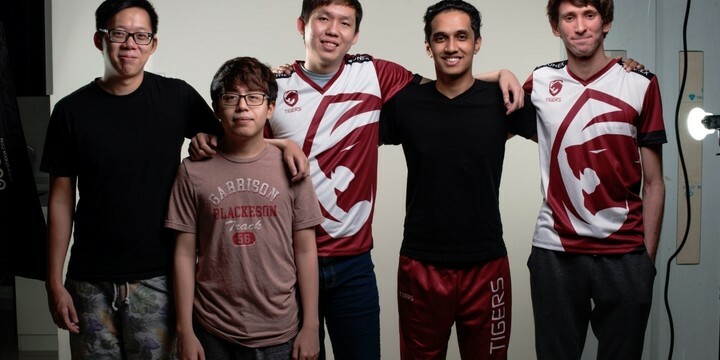 In an unexpected move, Team Tigers have announced two changes to their roster. After failing to qualify to either the Major or the Minor in the latest DPC round, the fact that they’re making changes isn’t surprising on it’s own - but the changes they have chosen to make are unexpected to say the least. Fans have long wondered exactly where Danil “Dendi” Ishutan would end up after leaving his iconic role as Na’Vi’s mid laner, but no one expected a move to South East Asia. Region swapping between SEA and the other regions is becoming fairly common, but to be blunt, anyone would have expected Dendi to have better options. Why would arguably the most famous player in the world move several time zones away from friends and family to play on a team that didn’t even make it out of the open qualifiers for the Bucharest Minor? Honestly, Dendi’s notoriety that makes him such a popular brand probably makes him an "unpopular" choice as a player. While team owners would love to tap into his fan base, players might be concerned about his dedication to playing, the TI curse, and most importantly, the pressure all the extra attention will place on the team. This is what actually makes Tigers a pretty good choice - SEA fans are some of the most intense out there (just look at LANs in Manila or Kuala Lumpur), so the players are used to the attention. Theeban ‘1437’ Siva is also well versed in playing with legends after his time spent coaching the likes of Puppey, Kuroky, s4, Arteezy etc during his tenure on Team Secret. It is important to note that Navi’s tweet on the situation refers to Dendi as a stand-in only, so the longevity of this roster likely rides on their performance in the Dreamleague Major qualifiers. Dendi’s popularity may make him the highlight of attention on Tigers at the moment, but we shouldn’t let it overshadow their second roster announcement. Veteran Chai "Mushi" Yee Fung has been announced as the team’s new carry. Mushi has been close enough to taste the Aegis of Champions several times, placing fourth at The International 2016 with Fnatic, fourth at The International 2016 with DK, and third with Orange at The International 2013. This presents Tigers as one of the most experienced and decorated rosters in SEA (especially with Moonmeander’s second place finish at TI6), but achievements on paper mean nothing when it comes to a team game. Mushi has traditionally been a captain for the last several years, and a rather strong one. 1437 is no different, with Team NP as his rare appearance as “just” a support player, rather than the captain and drafter. This team presents an eclectic mix of personalities and should leave fans with serious concerns over longevity. New teams have momentum and excitement, so it’s possible that they breeze through qualifiers and earn themselves a spot in the next round of DPC tournaments. Despite this, this team seems likely to suffer to the issue of “too many cooks in the kitchen”. Ultimately, the obvious needs to be stated. With everything hanging on so few DPC events, performance in the major qualifiers will probably determine the future of the team, with the roster unlikely to survive if they fail to qualify. Dendi could very well be a flash in the pan in the history of Tigers, or perhaps this is the fusion Dendi needed to succeed again. Fortunately, Dreamleague qualifiers are right around the corner, so we don't have to wait long to find out.